There’s been an uptick in the adoption of dense servers for cloud deployments and Intel hopes to capture a larger share of that market through server chips it will release next year. Intel hopes to embed Broadwell-DE high-performance server chips onto motherboards. Intel’s first chips with a system-on-a-chip design, Broadwell-DE cannot be slotted, differentiating them from other standard server chips. ”It enables more of a dense board design,” said Shannon Poulin, vice president and general manager of Intel Data Center Marketing Group. The Broadwell DE chips will ship in the second half of 2014 or early 2015, Poulin said. Server makers such as Hewlett-Packard and Dell are condensing servers to eke out more performance while cutting data-center electric bills. Hewlett-Packard is banking heavily on Moonshot, a hyperscale server with hundreds of low-power cores adept at processing search requests, social network posts and other cloud tasks. HP has claimed that one 4.3U Moonshot system delivers more performance than standard rack servers while saving space and using less power. There are other advantages and tradeoffs to chips like Broadwell-DE, Poulin said. The SOC design removes potential bottlenecks, but the slotted server chips have access to more memory and power, which helps step up performance. The chips will have a wide range of I/O controllers and, depending on needs, will be modified for storage and networking systems, Poulin said. Broadwell-DE chips will be a faster offering compared to the company’s Atom-based server-based chips, which will offer lower power consumption. Broadwell-DE chips will be made using the 14-nanometer process. Broadwell-DE could eliminate some bus interfaces and increase performance, but there could be tradeoffs on reliability and features, said Jim McGregor, principal analyst at Tirias Research. ”The motivation is to get farther and farther in networks, it is not sufficient for them to be in servers,” McGregor said. It’s especially important for Intel to gain a network foothold with the growing number of connected devices, McGregor said. Intel is also due to release Xeon server chips code-named Grantley, based on Haswell microarchitecture, in the second half of next year. The company is also open to putting a the intellectual property of customers as modular blocks in its server chips, which the company said makes it easier to customize chips. Intel’s server chips have largely been built around their own technology, but in the last year the company has stepped up its custom silicon business for large data center customers such as Facebook and Google. The level of processor and chip customization varies based on workload, data center design and power consumption. Intel has changed clock rates, added accelerators, increased cache and added more cores to custom chips, for instance. The company has also added custom logic to server chips. Next year will be a “wake-up” year for Intel, which faces a challenge as server processors based on the ARM architecture emerge, said Tirias Research’s McGregor. ARM servers are expected to start shipping next year and will draw interest as an alternative to traditional x86 servers, which dominate the market, McGregor said. It could take years for ARM to establish a meaningful market presence, but Intel will start facing pressure on the price of server chips, McGregor said. For years, Intel has kept server chip prices high, and some companies consider ARM in an effort to cut costs, McGregor said. 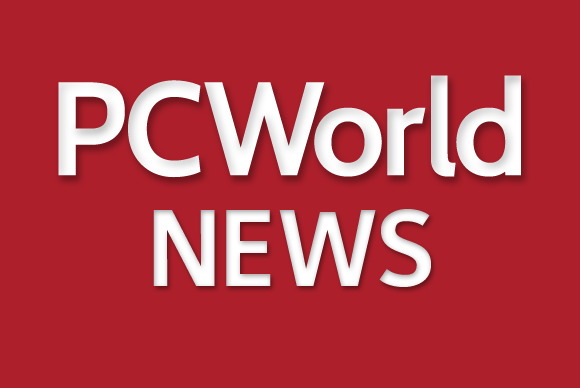 But Intel is well equipped to take on competitors, and having just wrapped up a strong year, it will continue its push into low-power servers and new markets next year, Poulin said, adding that the company’s server chip shipments are expected to grow.